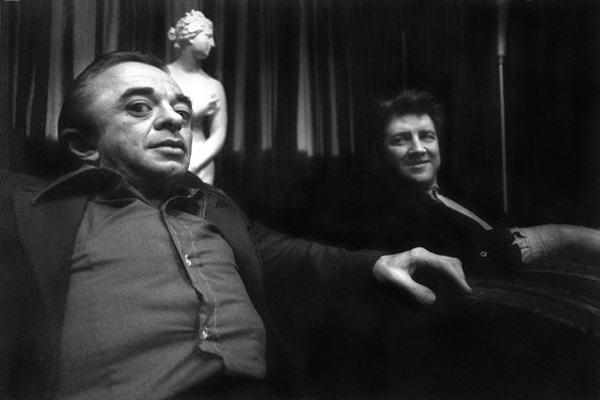 David Lynch and Michael Anderson, a.k.a. the Man From Another Place. Photo by Richard Beymer. So, it looks like Lynch and Frost have hit another snag in their most anticipated project, and the new season of Twin Peaks has been postponed until 2017. We Peakers have to put up with a lot sometimes, don’t we? But we’re patient people when it comes to our favorite series, and we’ve already waited 25 years, so what’s the harm in one more? To help you kill time and make it to 2017, I’ve compiled some fun facts that even you may not know about our beloved Twin Peaks. 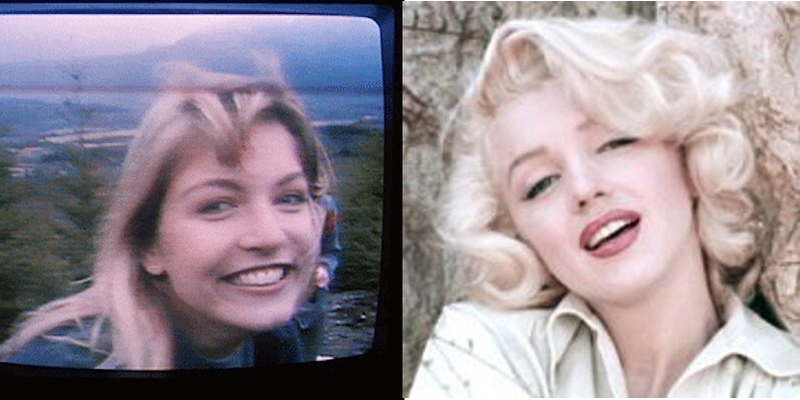 Laura and her Doppelganger, Marilyn Monroe. Did you know? Before they began developing Twin Peaks, David Lynch and Mark Frost were attempting to do an adaptation of the Marilyn Monroe biography, which would have been titled Goddess. However, they could not acquire the rights, so some of the elements of their screenplay found their way into Twin Peaks, helping to form Laura’s character especially: She’s a blonde beauty queen, idolized by everyone but with many dark secrets including drug addiction and sexual abuse, who had an affair with a rich and powerful man, and it is suspected that she was killed because she possessed some sensitive information regarding him. Did you know? Mark Frost comes from a talented family: The role of Doc Hayward is played by Warren Frost, his father, who also worked in theater as an actor and stage director. 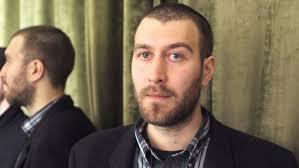 Mark’s sister Lindsay is an actress, and his brother Scott is a writer. Did you know? Twin Peaks was partly inspired by the 1944 film noir Laura. Elements lifted from the film are, of course, the name Laura, the use of a murdered woman’s diary to solve a crime, the names Waldo and Lydecker, and a detective seeing a murdered woman in person after her death. Did you know? David Lynch’s daughter, Jennifer Lynch, is a director in her own right. Her filmography includes Boxing Helena (1993), Surveillance (2008), and even an episode of The Walking Dead! Jennifer Lynch was also the one given the task of writing The Secret Diary of Laura Palmer, and as such, she was one of three people who were told the identity of the killer. 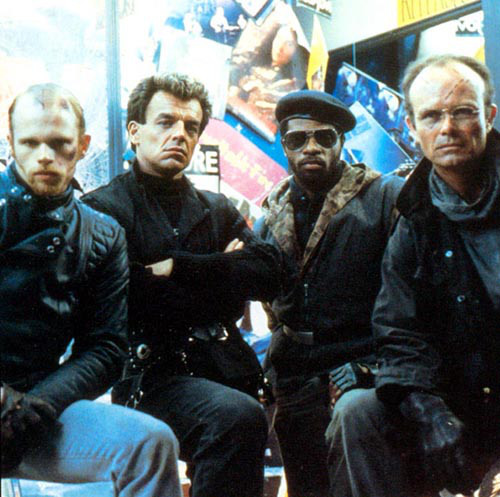 Ray Wise with his buddies in RoboCop. Did you know? Sheryl Lee, who played Laura Palmer and Maddy Ferguson, makes a cameo appearance in the 2007 film Winter’s Bone. When she is first shown, a song is playing in the background, with lyrics that say, “I wonder if you still remember me, or has time erased your memory? As I listen to the breeze whisper gently through the threes, I wonder if you still remember me.” These lyrics are greatly reminiscent of the song Lynch and Badalamenti wrote for the final episode of Twin Peaks, “Sycamore Trees,” which features the lyrics, “and I’ll see you and you’ll see me, and I’ll see you in the branches that blow, in the trees.” Perhaps the director of Winter’s Bone is a Twin Peaks fan? Did you know? The actress who plays Sandy’s mother in Blue Velvet is Hope Lange, who starred in the movie Peyton Place, which is credited as a source of inspiration for Twin Peaks: It’s about a small town that looks on the surface to be the American Dream, but in truth, it harbors many dark secrets. Did you know? Pretty much every David Lynch film has featured a night club, usually with its own unique singer. Twin Peaks and Fire Walk With Me have the Roadhouse, where Julee Cruise’s band performs, and the Bang Bang Bar. Blue Velvet has the Slow Club where Dororthy Valens sings. Wild At Heart shows Sailor at a club singing Elvis Presley’s “Love Me.” In Lost Highway, Fred plays saxophone with a band at an unnamed club. Mulholland Drive features the infamous Club Silencio, where Rebekah Del Rio sings a Spanish version of Roy Orbison’s “Crying.” And in Inland Empire, Nikki/Sue runs into a night club where a burlesque dancer is performing. Did you know? Clarence Williams III, who, in the second season of Twin Peaks, played Roger Hardy from Internal Affairs, appeared in the Mod Squad with Peggy Lipton (Norma Jennings). Did you know? 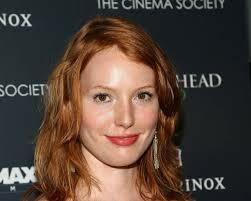 Alicia Witt, who played Donna’s little sister Gerstin (the pianist) is still acting. She has appeared in recent series such as Justified and House of Lies. Did you know? Frank Silva (who played Killer BOB) was originally just a set dresser for Twin Peaks. However, his reflection was accidentally filmed in a scene in the pilot, which led to Lynch, who often utilizes accidents creatively, conceiving of the character BOB, and cast Silva in the role. Blue Velvet has Kyle MacLachlan (Agent Cooper) and Jack Nance. Lynch also planned to have Isabella Rossellini appear in Twin Peaks, but she turned down the role which afterward went to Joan Chen. Dune has Jack Nance and Kyle MacLachlan. Lost Highway has Jack Nance in a brief cameo, which also happens to be his last appearance. The Straight Story features Everett McGill (Ed Hurley). Mulholland Drive briefly features Michael Anderson (The Man from Another Place) as the mysterious Mr Roq. Inland Empire has a cameo from Grace Zabriskie. The only feature film to not contain an actor from the Twin Peaks series is The Elephant Man, which also happens to be the only Lynch film not to feature Jack Nance prior to his death in 1997. Did you know? Jack Nance and Michael Horse (Deputy Hawk) also appear in David Lynch’s short, The Cowboy and the Frenchman (1987). Nance’s character is also called Pete. Did you know? Jack Nance and Catherine Coulson were married from 1968-1976. Coulson jokingly accredited their divorce to the fact that she was Nance’s hairdresser for Eraserhead. How many happy relationships must this monstrous coif destroy before it is satisfied?! Did you know? Jennifer Lynch was largely given creative control over The Secret Diary of Laura Palmer, aside from a few notes given by David Lynch and Mark Frost. Writing on a computer, she completed the first draft of the book in nine days, but, after flying to New York, found that the information was completely missing. This forced her to rewrite the entire thing, this time using a typewriter, to avoid any technical mishaps. Did you know? Sherilyn Fenn insisted to the writers that it isn’t really possible to tie a cherry stem with with your tongue. Did you know? Angelo Badalamenti has provided music for all of Lynch’s works from Blue Velvet (1986) to Mulholland Drive (2001). Inland Empire was the first film since Blue Velvet not to contain any work by the composer. Instead, Lynch drew mostly from pre-recorded materials by artists such as Nina Simone, Beck, and Ella Fitzgerald. Incidentally, Chrysta Bell, who co-wrote and sang “Polish Poem” for the soundtrack, has done a live cover of Beck’s “Black Tambourine,” which also appears on the soundtrack. Did you know? Twin Peaks has a real-life connection to Marilyn Monroe: Actor Miguel Ferrer (Albert Rosenfield) was held by Marilyn Monroe as a baby, when his mother, actress and singer Rosemary Clooney, attended one of Monroe’s parties. Did you know? 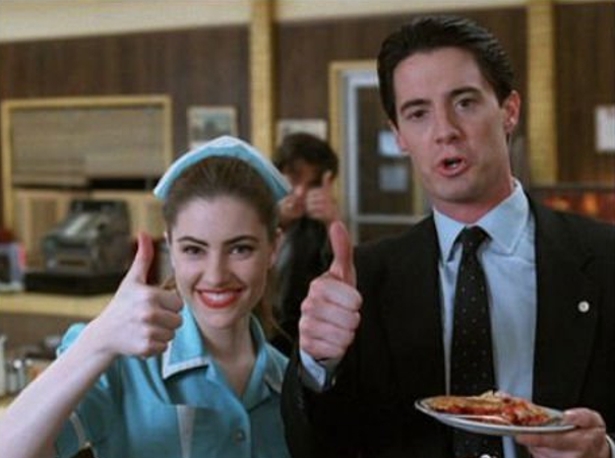 Both Kyle MacLachlan and Lara Flynn Boyle actually hate cherry pie. It kind of ruins the fantasy to realize that, behind that thumbs up, he’s revolted. Did you know? The character of Maddy Ferguson originally wasn’t part of the plan: Lynch and Frost invented her pretty much at the last minute as a way to keep Sheryl Lee in the show. 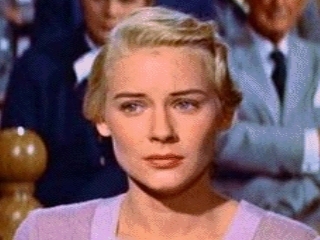 The character’s name is a blatant reference to one of Lynch’s favorite films, Alfred Hitchcock’s Vertigo, which stars Jimmy Stewart as Scottie Ferguson and Kim Novak as Madeleine Elster. Did you know? 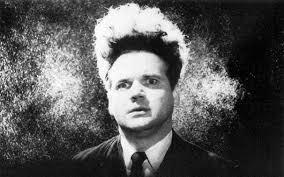 Jack Nance’s real, full name is Marvin John Nance. Did you know? Mrs Tremond’s grandson was, in the series, played by David Lynch’s son, Austin Jack Lynch. He also showed up seventeen years later, in his father’s feature film Inland Empire (he is sitting on the couch in Devon’s dressing room). Austin Lynch also works as a director, though with a much smaller filmography than his dad: He filmed “The Making of…” documentary for the DVD extras for the film The New World (2005). Austin Jack Lynch, all grown up. Did you know? Angelo Badalamenti sings on the track “A Real Indication” from the Fire Walk With Me soundtrack. The song was invented on the spot, inspired by Bobby and Laura’s interaction at the school. Did you know? To keep information from leaking to the public when the identity of Laura’s killer was revealed, different versions of Maddy’s murder were filmed: One with just Leland, one with just BOB, and one with Ben Horne. The Simpsons later parodied this in their episode “The Simpsons 138th Episode Spectacular,” which shows a alternate outcomes for the episode “Who Shot Mr. Burns Part 2,” wherein Mr. Burns’s assistant Smithers is revealed to be the killer. This was also allegedly created to keep the real killer’s identity from leaking to the public. Also, “Who Shot Mr. Burns Part 2” contains two Twin Peaks parodies: Its title is a play on the tagline “Who killed Laura Palmer,” and there is a scene where the police chief dreams of a Black Lodge-like place, where a “backwards-talking [girl] with flaming cards” gives him obscure clues. He awakes from the dream with his hair stuck in a cowlick, the same way Cooper awakes from his Black Lodge dream. 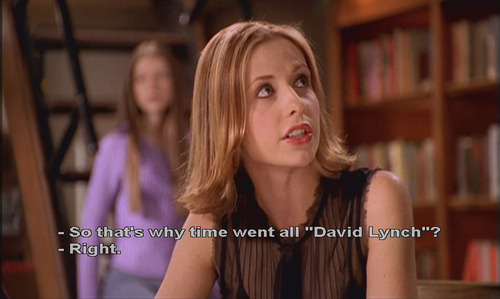 Buffy Summers has good taste in cinema. Did you know? Twin Peaks was nominated for the 2014 TCA Heritage Award, along with Lost, South Park, Saturday Night Live, and Star Trek. It lost to Saturday Night Live. Did you know? Speaking of Twin Peaks and Star Trek, many actors from Twin Peaks have also appeared on the various incarnations of Star Trek, including Ray Wise (Star Trek: The Next Generation and Star Trek: Voyager), Madchen Amick, (Star Trek: The Next Generation) Wendy Robie (Deep Space 9), and Miguel Ferrer (feature film Star Trek III: The Search for Spock). 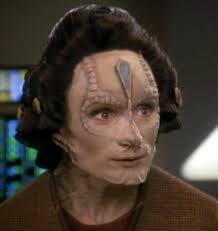 Wendy Robie in Stark Trek: Deep Space Nine. Did you know? Twin Peaks has inspired a number of songs, including “Wrapped in Plastic” by Marilyn Manson, “Spark” by Tori Amos, and “Nadine Hurley” by London punk girl band Skinny Girl Diet. Did you know? The actors who played Ed and Nadine Hurley, Everett McGill and Wendy Robie respectively, also played a husband and wife in the 1991 horror film The People Under the Stairs. Did you know? Twin Peaks has inspired many television shows, including Psyche, American Horror Story, Wayward Pines, Lost, True Detective, Louie (which had David Lynch himself guest-star in two episodes) and Hemlock Grove, to name just a few. Feature films inspired by Twin Peaks include Lake Mungo, Requiem for a Dream, and Donnie Darkko. Did you know? Twin Peaks has also inspired several video games, such as the Silent Hill series, and the supernatural detective game Alan Wake. Even the popular game series The Legend of Zelda has drawn from Twin Peaks: Its 4th installment, Link’s Awakening, takes the protagonist to a dream world full of strange individuals who speak in cryptic phrases. It even includes a mysterious forest and an owl that is not what it seems. Some of these Twin Peaks-inspired elements would go on to recur throughout the series. 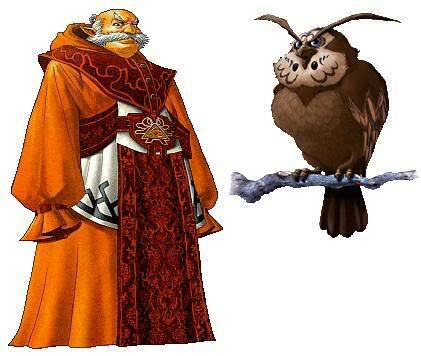 In one of the games, the mysterious owl serves as a disguise for a wise old man who aids the protagonist. It seems even in video games, the owls are not what they seem. Like BOB, the wise man in the Legend of Zelda: Ocarina of Time disguises himself as an owl. 5 Comments Posted in David Lynch, Mark Frost, Television, Twin Peaks Tagged #PeaksFreaks, #TwinPeaksFreaks, Agent Cooper, Alicia Witt, Angelo Badalamenti, Austin Jack Lynch, Blue Velvet, Catherine Coulson, Cherry Pie, David Lynch, Did You Know, Eraserhead, Everett McGill, Fire Walk With Me, Frank Silva, Fun Facts, Grace Zabriskie, Hope Lange, Inland Empire, Isabella Rossellini, Jack Nance, Jennifer Lynch, Joan Chen, Killer BOB, Kyle MacLachlan, Lara Flynn Boyle, Lost Highway, Madchen Amick, Marilyn Monroe, Mark Frost, Michael Anderson, Miquel Ferrer, Mulholland Drive, Owls, Peggy Lipton, Ray Wise, Sherilyn Fenn, Sheryl Lee, Star Trek, The Legend of Zelda, The Owls are not what they seem, The Simpsons, Twin Peaks, Warren Frost, Wendy Robie, Who Killed Laura Palmer?